I wanted to address this question today as it has often come up at my seminars or has been posed among people interested in using essential oils but concerned because they have allergies to certain things or perhaps chemical sensitivities. The answer is simple, and yet complex, so I wanted to answer it here, that it may serve as a reference to you in the future if you are faced with this question or are asking it yourself. Dr. Stewart discusses allergies and essential oils on pages 451-465 of his book. For those of you who do not yet have this book, I will summarize his answer here. First, before we can proceed, we have to understand what a true allergy is. Mosby’s Medical Dictionary, 6th edition (2002) states that an allergic reaction is “an unfavorable physiological response to a substance (called an allergen) to which a person has previously been exposed and to which the person has developed antibodies”. An allergen is defined as “a substance, which may not be intrinsically harmful, that can produce a hypersensitive reaction in the body”. The person must have been exposed to that oil on a previous occasion. They have to have developed antibodies to compounds in that oil. They must have developed a hypersensitive reaction upon another exposure to that oil. Essential oils, however, contain no proteins or polypeptides and thus are virtually free of potential allergens. 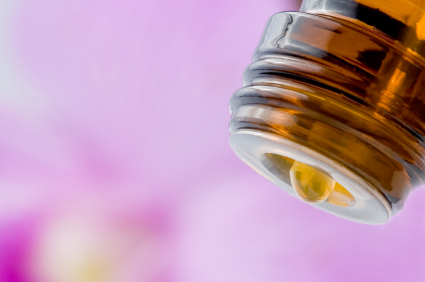 This means that you could have an allergy to a plant that yields essential oils, like geranium, and yet not have an allergic reaction to the essential oil steam distilled from that plant, because there are no plant proteins, peptides, or amino acids left in the essential oil that are the primary source of an allergic reaction to the plant. These molecules (the proteins and polypeptides) are too large to pass through the steam distillation process of a therapeutic grade essential oil. However, there are certain oils that could potentially be allergic to some persons. Oils pressed from seeds (vegetable oils, which can be used as a carrier oil), or oils that are cold-pressed not steam distilled (like citrus oils), or absolutes (like jasmine, neroli, and onycha) which are oils that are extracted using solvents. These oils can contain traces of proteins and polypeptides, unlike distilled essential oils. (If you seem to have an allergic reaction to an essential oil blend, check the list of ingredients in that essential oil blend, as it may contain a carrier oil like almond oil or coconut oil; this could be the source of your allergic reaction). Mild allergic reactions include: sneezing, runny noses, sinus congestion, watery eyes, headaches, skin rashes, itching and hives. More severe reactions: asthma, profuse sweating, weakness, shortness of breath, diarrhea, nausea, acute dermatitis (skin lesions and blistering), irregular heartbeat, inflammation of the tissue around the eyes, swelling of the face and neck, and bronchial spasms. Anaphylactic shock is potentially fatal and can begin with some of these symptoms. Dr. Stewart discusses the entire immune reaction in the body in his book, which I am not going to go into great detail on as it is long and more complicated that what I need to address here. I am, however, going to address this from a GAPS Practitioner standpoint, and that would be this: allergic reactions are a sign that the immune system is dysregulated. A malfunctioning immune system is a symptom of a digestive system that is unbalanced and a sign of gut dysbiosis (an imbalance of bacteria and flora in our digestive tract). Dr. Stewart emphasizes an emotional component to allergies and immune dysregulation, and I agree – an emotional component (stress, emotional and psychological trauma, etc.) have a great impact on our digestive health and the health of our gut flora. If we are suffering from immune upregulation and allergic reactions, we MUST address our digestive health, even if we feel our diet is healthy and that our digestion is “just fine”. Allergic reactions are a sign that our immune system is not “just fine”. OK – back to how we acquire allergies. We’ve already discussed that distilled essential oils cannot contain proteins and polypeptides, as these molecules are too large to remain in the distilled oil. But what about phenols? That being said, each person as an individual needs to decide for themselves personally how they will care for their own health. This includes choices about the foods they eat, the healthcare or methods of treatment that they choose for themselves, and even the essential oils they use or choose not to use. This is their choice, and no one should berate them for their choice. Please note that this information pertains only to pure therapeutic grade essential oils and does not apply to perfume, massage, or food grade oils, as they are distilled to different standards and can contain proteins, polypeptides, synthetic substances, and chemical solvents that can trigger allergic reactions in susceptible individuals. They can also be diluted with other fatty oils which can trigger a response. Next Post Stay Healthy This Flu Season – Naturally!